Living in Houston like I do, my trip to QuakeCon is decidedly shorter than for many of the attendees, I’m sure, but nevertheless three to four hours in the car is an appreciable span of time. I spent the majority of the trip listening to the freshly-downloaded soundtrack of Bastion. Hearing the rustic, western beats while rolling through Texas’ drought-ravaged farmlands was delightfully thematic and served as an excellent pastime. Throw in a milkshake from Jack-in-the-Box and healthy amounts of Kard Kombat (a thoroughly worthy iPhone game), and the drive was not a chore but quite a pleasant experience. Given my cramped and poorly ventilated experience at GDC Online, I was hardly expecting much from QuakeCon’s choice of settings. Color me surprised (pleasantly so) when I pushed through the shiny revolving door and entered the Hilton Anatole, a place rife with soft carpets, classy decorations, and plenty of room to spare. The hotel looked to have a Japanese theme about it, which made it a refreshing change of scenery in addition to being visually pleasing. While the temptation to wade through the perfectly-kept koiless koi pond or combat the stone samurai was great, I managed to make it through the day without causing irreparable harm to my surroundings, and of that I am proud. Despite the convention being spread rather erratically throughout the expansive grounds, each location seemed perfectly tailored to its hosted event, quickly making you forget that the given room had a vast library of other purposes. I don’t know if it was QuakeCon’s usual pick for locations, but if it’s going to be a returning factor next year I’ll head down again just to get another look at that pond. The first thing I did after speeding through registration was weave my way into the main stage to get a seat for Skyrim’s public unveiling. (Unfortunately, this was met with something less than success, so I made do with standing at the very back.) As Todd Howard took the floor, 360 controller in hand (making the obligatory apology for forsaking the PC version) my excitement level began to climb rapidly. This only continued as menus were navigated and a save was loaded, hooking me within seconds upon revealing the barren, snow-covered landscapes and majestic mountains. Impressive as it was, bear in mind little of what was shown was new, as I had seen much of the same demo shown via E3 coverage. Given that this was hardly fresh material, I won’t be writing up a preview of what I saw, rather I shall relay a few scattered thoughts regarding the demonstration. To begin with a summary, I came away from the presentation both encouraged and excited. Even when shown via a guided demo, the scale and detail of Skyrim’s world are made clear. Every part of that world is infused with a strong theme and vision, making it feel like a successor to Morrowind’s rustic, alien world of Vvardenfell rather than Oblivion’s unfortunately bland Cyrodill. What struck me throughout the tour was that this clear and immersive direction went beyond the composition of the world and into the mechanics underlying it all. As Todd Howard introduced a group of bonus-granting standing stones atop a chilly mountain peak, which replaced the constellation system from previous entries, I began to see how systems once relegated to character sheets were being gracefully woven into the vast tapestry that is an Elder Scrolls game. While Oblivion spent its time stripping away the more arcane mechanics present in Morrowind, Skyrim looks to be reintroducing complexity, though not by returning to the text-heavy mechanics of a bygone era, but rather in ways that contribute to immersion. It’s, to use the word once more, this definitive vision, which was sorely lacking in Oblivion, that looks to be underlying every one of Skyrim’s strengths, and seeing the mastermind behind it all demonstrate this live drove home my belief that Bethesda has really got it this time. When the dragon was vanquished and the brief journey came to a close, I believe the roaring crowd was of the same mind: November can’t come soon enough. With thoughts of Skyrim’s barren, snow-beaten mountains on my mind I decided to contrast things wildly by heading off to QuakeCon’s show floor. I stumbled my way through the bass-pounded room in something of a bored daze, passing by a gregarious truck for raffle, a bevy of gamestations featuring solely, of course, competitive shooters, and some sort of energy-drink swigging contest… thing. I made a hasty exit, wondering why I was even attending the thing as thoughts of Skyrim were left drifting away in the sea of dull frenzy. With Stephen still off demoing Rage in the all-too-exclusive press room (he said I wouldn’t be allowed in; I was his cameraman! ), things took a dramatic turn for the better as I entered the panel concerning id’s 20 year history. Four of id’s top performers took the stage and shared their experience, the culmination of which was nothing but interesting and insightful. High points came when hearing of their comical censorship issues with Nintendo or letters warning them against referencing the supernatural, but what stood out from all the rest was getting to hear John Carmack for as long as I did. His is a name I’ve heard bandied about gaming circles many a time, but being only a casual observer of id at best, I’d never learned much about him. That made hearing his wide ranging pontifications all the more interesting, as they spanned a delightfully wide range over the course of the panel. The man is obviously still one of the great minds of the industry, and being introduced to him in such an entertaining and engaging method was quite the treat. Much to my amazement, the panel was such a pleasant surprise that it garnered my “best of show” award; I’m sure it’s most honored. First with Skyrim and then later with Prey 2 (another game demoed that shall, unfortunately, not be receiving its own section), an attention-grabbing element was the audience participation. 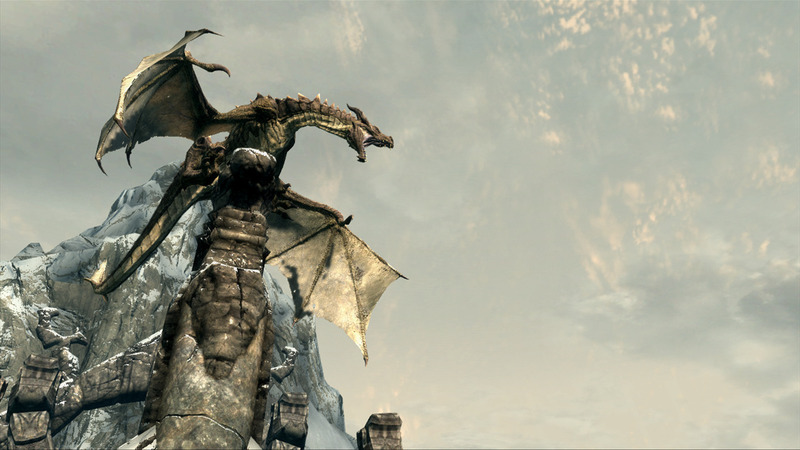 As Todd Howard was introduced and Skyrim unveiled the gathered attendees seemed ordinary enough, cheering with enthusiasm for a long-awaited showing. Nothing seemed mentally unstable about the good-natured bunch; nothing particularly troubling, either. That is until a wolf passed by. A cry rent the air, calling for blood. “Kill it!” This was met by another, then another; soon there was something resembling a cohesive chant demanding the wolf’s imminent demise. Todd Howard’s delayed reaction came too late; he doubled back to search for the marked creature, but found nothing but frozen wastelands, devoid of life. The disappointment was palpable, but things returned to a normal, civilized state as the demo continued. The beast had been awoken, however, and when a city was approached, things became ugly. 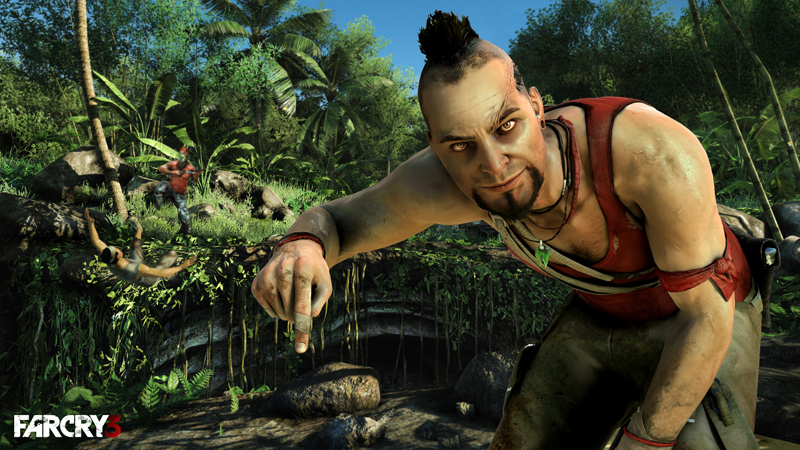 Shouts to burn the place and massacre the townsfolk arose; the violent uproar eventually culminated into Todd Howard flatly stating: “I’m not going to kill the civilians.” Nevertheless, chants for blood and death were commonly repeated throughout the duo of demos, and any act of even remote violence or destruction was met with wild cheers. The killing of a helpless alien here, the slaying of a dragon there; each spray of blood was met with an equal or greater wave of applause or bevy of hooting. I believe it felt akin to what it would’ve been like to attend a gladiatorial arena, witnessing a riotous crowd whipped up into a frenzy by their bloodlust and screaming for a sacrifice to satisfy their wild demands. Fortunately, this event lacked the critical component of *actual* violence occurring, but the similarities were hard to ignore nevertheless. Was it annoying? It became so, yes. Humorous? Sometimes, quite. Disturbing? Yes, I must admit it was this as well. I’m perfectly aware none of this bloodshed was real, of course, (do not take me for a whacko, despite the evidence) but despite this, I do wonder… is it really healthy to cultivate such violent tednencies? The amount of fervor the crowd managed to display was… a bit unnerving. I’m sure it’s all in good fun though… right? It seems QuakeCon wasn’t the only event taking up space at the Hilton Anatole that weekend. Some traveling troop (is that the correct term these days?) of ballerina-esque dancers was putting on a show of some sort, and the culture clash that ensued was both confounding and comical. Within a few paces you could pass both a man sporting a Black Mesa labcoat debating the importance of SSDs for disc speed and a group of six-year-olds dressed in colorful garb and practicing for what looked to be a gymnastics routine. It added that extra dose of oddball flavor that every good convention needs; unless it’s taking place in Japan, in which it needs triple the dosage, if not more. My journey brought me from dragon-sieged plains to headace-inducing show floors (actually, there was just one of those…), and I had a plethora of thoroughly enjoyable experiences (including a fantastic breakfast the following morning). All of these must culminate to something, however, yet the moral of this winding tale is still an enigma; I believe it has something to do with the ethical conundrum of rocket ships, competitive shooters, koi ponds and bloodthirsty loons, but I’ll be darned if I know how. I’ll admit I don’t know much about this game, and maybe the rose-colored tint of ignorance is what’s keeping me so optimistic, but what I have seen looks, in a word, spiffy. Both the premise (being stranded on a remote island with a population of insane people) and the presentation (gorgeous sunny-island themed visuals and immersive sound to boot) pique my interest, which is a rarity for shooters these days. I appreciated how Ubisoft showed the game off, leading with an atmospheric description of your character’s dire situation and jumping straight into the action without even announcing what title they were showing off. Sure, the observant viewer would’ve heard the rumors beforehand and would catch on after seeing the lush tropical landscapes, but the sense of mystery and immersion helped to better showcase the work, the actual content of which was promising. The shooting looked sharp, the scenery was more than impressive, and the action was exhilarating, but what better to top it off than a monologue from one clearly insane captor? I guess having that clearly insane captor kicking you off a cliff with a rock tied to your feet would qualify. My qualms with the game so far are minor, though there isn’t enough known to really rant about anyway. Their promises to simplify and streamline the experience is unfortunate, but if I wrote off every game that mentioned that, the lineup for me would be very small indeed. There wasn’t a dearth of sci-fi shooters being shown at the… show. You’ve got Gears of War 3, Resistance 3, Star Trek, Starhawk, Dust 514, and Halo 4, just to name a few. (Actually, that’s more than a few. But less than a gaggle!) Even with all these, it took that special magic of a distant decade that is Halo: Combat Evolved to get me truly excited. It’s not that all of the mentioned games are bad (One may say some of them do look that way, though. Not me, necessarily, but One… he’s a pretty mean guy), but rather that Halo is just so good. And their treatment of it is no half-baked re-release; rather, it is a fully baked cake with a texture that is both moist and firm. (And tasty.) The frosting on this delicious treat is the ability to toggle between the old and new versions of the game on the fly. As one obsessed with comparing the graphics of games between versions, this is quite a boon that will save me the trouble of hooking up my old Xbox and driving Stephen crazy as we try to make it through the game. (Plus, it’s just cool.) But who starts by expounding upon the frosting? One who does not know the meaning of good article structure. Hm. I guess I qualify, so this all makes sense. Onto the cake, then! Halo Anniversary (which is what I’ll be calling it for short) went all out with this package, not only updating the graphics and music, but also putting the whole multiplayer mode into Reach’s engine and gameplay structure. This part is a double-edged sword for me, as I loved the balance of Halo one, despite its quirks, and I’m not dying for more Reach. 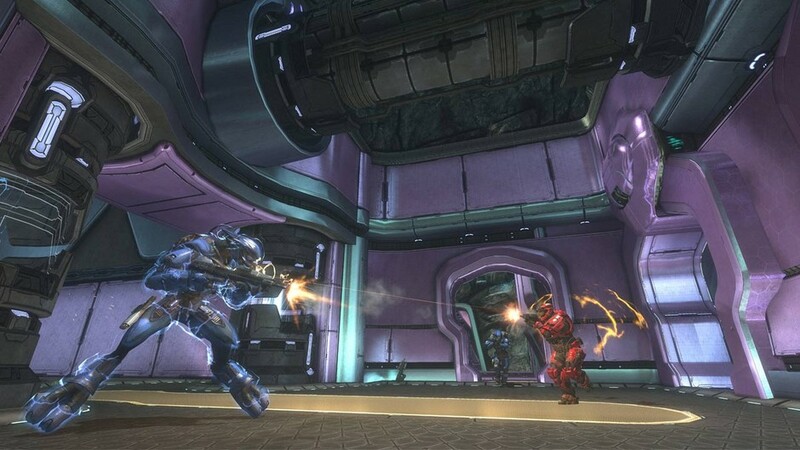 However, it’s looking like it may be possible to revert to original settings for the multiplayer, and the ability to use the maps with the rest of the Reach multiplayer experience is quite the boon. So now that this cake has been properly examined, I shall just await the moment when I can consume it. It will be a happy moment. Playing as an elite in multiplayer is one change I'd happily accept. This game is a necessity for any “Best of” list for the year’s show, and if it’s not on yours I’d suggest getting your head checked, because your sense of funness is out of whack and needs to be fixed which can probably be done by having your head checked. The colorful demo at Ubisoft’s conference bounced from one brilliant moment to the next, showcasing both stunning visuals and sound with seamless style. The highlights were many, and one (in the general sense, not that jerk who hates shooters) couldn’t help but smile at the Tetris sequence or frantic platforming action. But even with all that, my personal standout moment was the slapping. 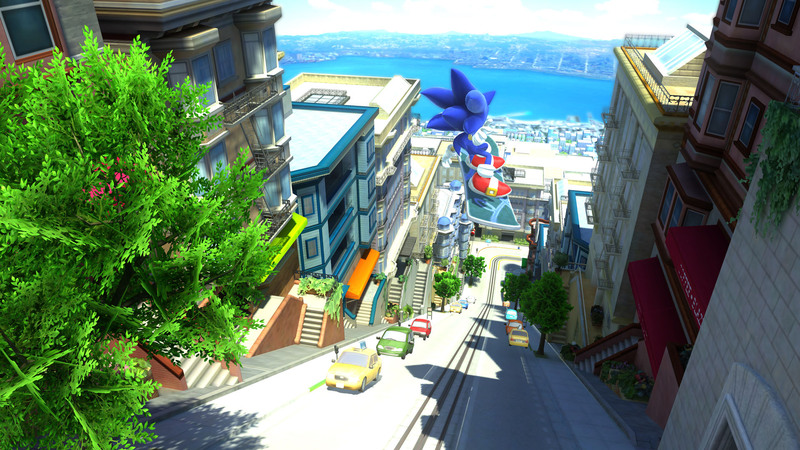 There’s no better example of the mildly jazzed/pumped/hyped sequence than Sonic Generations. When the early teaser trailer surfaced I was indeed mildly jazzed. A combination of Stephen’s amiable chatter and the release of more info (namely gameplay footage and the introduction of Green Hill) led me to graduate to “pumped”. It wasn’t until this E3, and the showing of their latest work that I’ve become hyped and possibly beyond. (Which we won’t go into now. It’s a lot to take in all at once.) 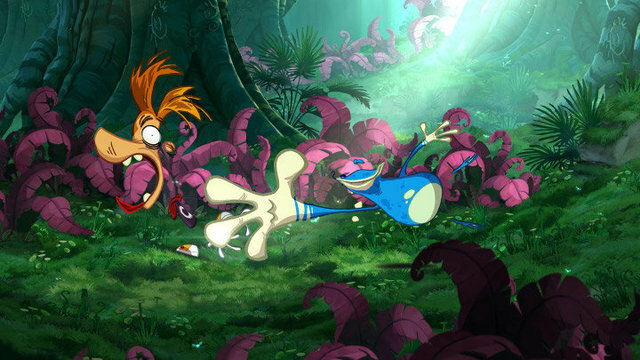 City Escape was shown. 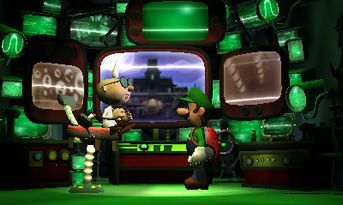 Through all of gaming’s wonderful history there isn’t a level that holds more nostalgic value for me than this classic stage from Sonic Adventure 2. (One of the seminal games in my early introduction to the medium and still one I hold to be one of the greatest games of all time.) I’ve easily played the level hundreds of times, and mastered just about everything these is to master in it. Seeing Sega at last recognize it once more and bring it back does me good, and I can’t tell you how amped I am to play through it all again with both the gameplay styles being showcased in Sonic Generations. Yes indeed, Sonic Generations has leapt right up there with my most anticipated games. I’m a sucker for the series even when it’s iffy, so what do you expect when it’s looking rad? Follow me... set me free... trust me and we will ESCAPE FROM THE CITY! After On Tour and Blur I was about ready to write of the series for good, and the early look at “Deadly Descent” only compounded that desire. Things have done a 180 for the series, however, and they’re pulling off old tricks that I thought were relegated to the past. 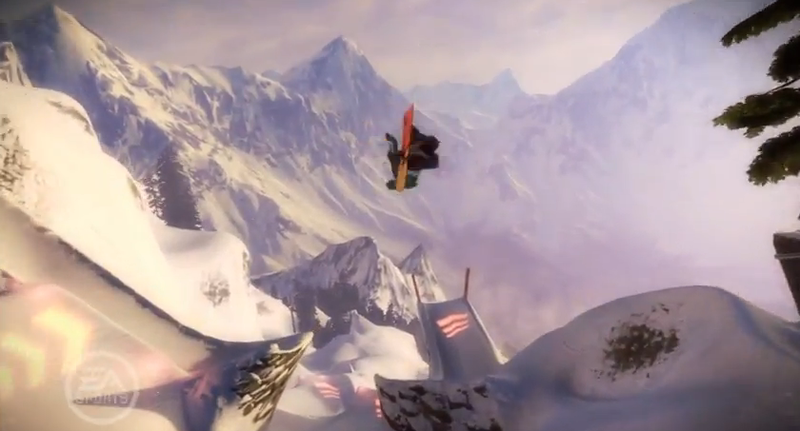 SSX is gearing up with all the conventions that made superb arcade sports games in the past, like Tony Hawk and SSX3, thrive, and looks to be doing it all with style. They’re merging realism (taking topographical maps of mountains) with crazy (throwing half-pipes, ramps, giant spotlights on mountains) and coming out with a product that looks more than promising. Whether they can ride this ramp of potential and get some air is something that has yet to be seen, and though they may pull of some nifty tricks, time will tell if they just end up wiping out. This is the game that truly surpasses all measurements I could give: mildly jazzed? Foolery. Pumped? That is a wild understatement. Hyped? Closer, but still inadequate. There are few games that bring as much raw potential to the table as Skyrim does, and they’re on track to not squander it. While I could run through a laundry list of my hopes and fears for the game, it can all be pretty easily synthesized, and for the sake of brevity and my rapidly diminishing time, I will do so: The game looks awesome. The game also looks streamlined. While I am bursting with thoughts about all the specifics, I will restrain myself. But the dragon fights really do look awesome. The spectacle of them descending upon a field and plucking giants from the ground is leagues beyond what I could imagine seeing in Oblivion and light years ahead of shooting at cliff racers back on old Vvardenfell. But that is all!